Pearl Necklace is an American stout brewed with local Rappahannock River Oysters. 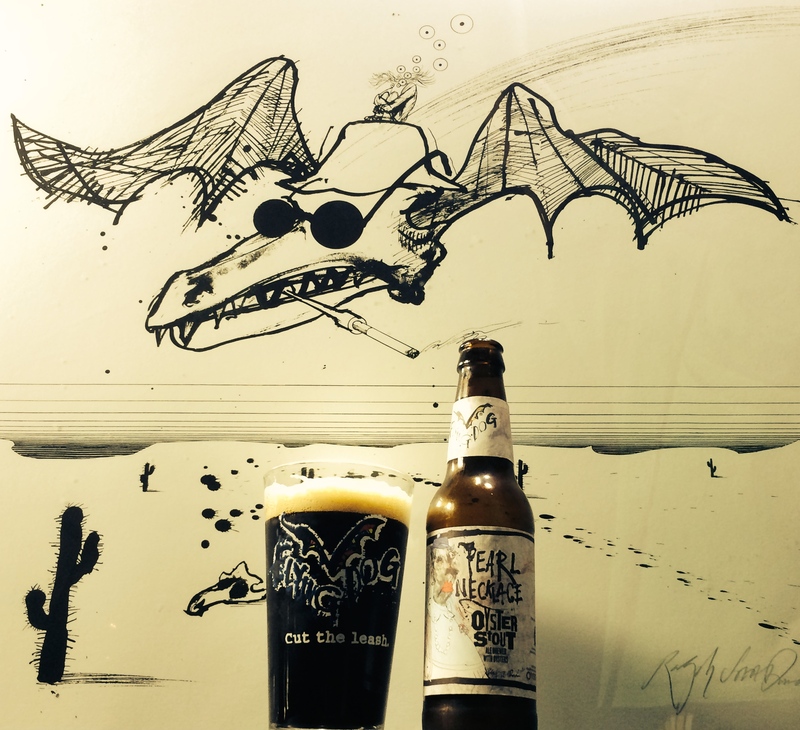 Flying Dog originally started Pearl Necklace as a seasonal brew but launched it into the market year round in May of 2012. In the production of this beer Flying Dog has partnered with Oyster Recovery Partnership (ORP) and proceeds from this beer are donated to them to help restore oysters in the Chesapeake Bay. In addition to helping the ORP in their mission they also managed to make a great tasting stout. The color of this beer was as dark as expected, close to that of cola or mud. It left a nice dingy colored head about 1.5 fingers think that lingered for a respectable amount of time. The smell of malt was clearly present along with that of coffee and a hint of sea air in the background. The flavor was full and complex but not heavy. It started with a rich dark chocolate flavor that shifted to coffee and nut flavors with a hint of honey. Only at the end was there a small amount of brine flavor. The carbonation was what I would consider to be average, which kept the feeling of the beer light on the tongue giving a good balance from the full flavor. A good amount of lacing could be noticed on the glass while drinking as well. As stouts go this is a well crafted beer. Not only is it pleasing to the nose, but also has a drinkability that won’t limit you to just one or two beers. In addition to it being a good beer it is actually doing something good in their community by helping the ORP. It would be hard to find a reason to not recommend this beer. Rating: 4.7 out of 5 pints.